Why is it that within the first 10 mins of waking up in the morning I have my phone in my hand mindlessly scrolling social media? What am I looking for? What meaningful could have seriously happened in the 6 hours since I was last scrolling as if my life depended on it? The Answer: Probably nothing but on the off chance that something did I want to be in the know. On most days nothing happens that requires me to be constantly glued to my phone. Although clicking a computer mouse burns about 1.42 calories (per click), I don’t think I can itemize my instagram consumption as aerobic activity. With that said I spent 40 MINS on social media prior to my workout. 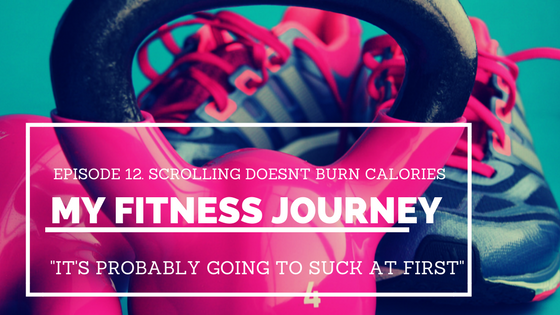 (On the other hand if I scrolled at a rate of 40 spm/ scrolls per minute, AND I assume that a single scroll burns the same amount of calories as a mouse click then I just burned 2,272 calories scrolling. Which means I’m actually winning right now….